Leadership and management are complementary skill-sets that senior executives and entrepreneurs need if they are to be successful in their career or business. There are differences between leadership and management skills and it is important to conceptually understand these differences, and the interrelationship between them. Leadership provides direction, encouragement and inspiration to motivate a team to achieve organisational success whereas management is primarily an organisational role, the task of coordinating people’s efforts and the allocation of resources to maximize efficiency in achieving identified goals. As can be seen by the relationships shown in this table, in successful organisations, leadership and management operate hand in hand. Effective leaders also manage and effective managers also lead. Without efficient management, the direction set by a leader risks being unsustainable. Similarly, management exercised without effective leadership will perpetuate current activities and directions, without adaptation to meet the changing demands of markets or innovation to optimise team/business performance. The bottom line is, without capable management businesses cannot operate effectively and without effective leadership businesses tend to stagnate and fail to adapt and innovate as required to the demands of rapidly changing markets. 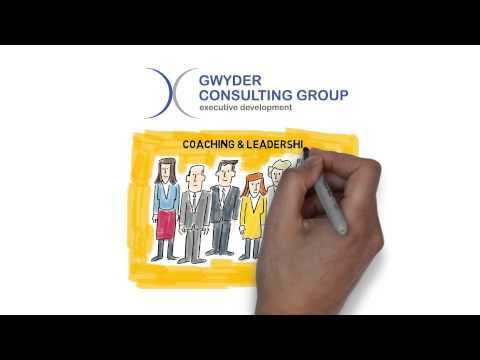 At Gwyder we specialise in helping organisations develop effective managers by teaching them management leadership skills using behavioural coaching. Behavioural coaching focuses on teaching leaders how to engage, inspire and empower others, so they can effectively implement their vision, and over 100 of the current Fortune 500 companies use and apply the Marshal Goldsmith, Stakeholder Centered, Leadership Development Framework that we use here at Gwyder, which is arguably the most effective behavioural coaching methodology in the world. Developed by Marshal Goldsmith, a man consistently acknowledged as one of the most influential business and leadership thinkers of our time (recognized as the # 1 leadership thinker in the world and the # 7 business thinker in the world at the bi-annual Thinkers 50 ceremony sponsored by the Harvard Business Review in 2012), this leadership coaching framework places a huge emphasis on developing the skills to motivate, inspire and energise others, and applies some of the most powerful management concepts available today, to your leadership style and organisation. If you are interested in finding out more about how this leading behavioural coaching methodology can make you a more effective leader and manager, we invite you to download our free whitepapers “The Secrets of Effective Leadership”. In the reports we explain the difference between behavioural coaching and other leadership coaching styles, and we share a few simple behavioural coaching exercises that can be used to increase your effectiveness in working with people both above and under you. There are two versions of the report, one for emerging or aspiring leaders, and one for senior executives and entrepreneurs. You can download our free reports here.